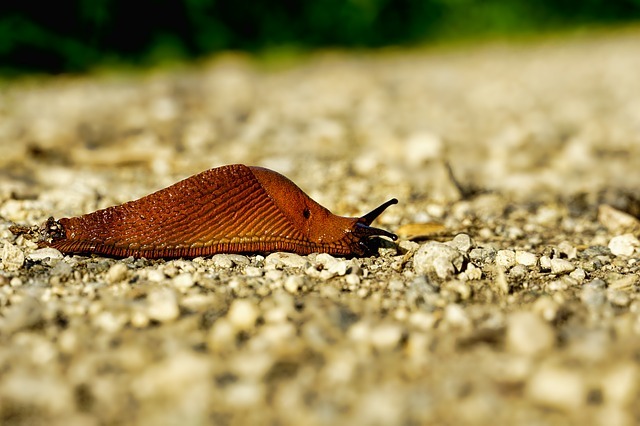 The golden rule with Exchange 2007 SMTP connectors is don’t do more than you have to. You probably need internet access, therefore by all means configure an SMTP connector to your ISP. However, if you have multiple Exchange 2007 servers in the same site then they can communicate effectively without SMTP connectors. One surprise is that Exchange 2007 SMTP connectors are uni-directional, thus to link two servers, you need one connector to send and another to receive email. Emails addressed to recipients in the local Active Directory site are handled by the Hub Transport server. It’s the job of the categorizer to deliver the email to the correct mailbox server; whereupon the message is retrieved by a version of Outlook. Internal to Hub Transport –> Hub Transport different Active Directory site. Receiving email uses the same routes as above, but in reverse. Thus it follows that you can categorize messages into four groups: inbound or outbound, and local or remote. Because every delivery strategy involves the Hub Transport server, you can appreciate why every Exchange 2007 organization needs at least one server with this role. Indeed, Microsoft’s recommendation is to have one server with the Hub Transport role in each Active Directory site. While the categorizer is at the heart of the message system, let us get to know the other important components, the Microsoft Exchange Mail Submission service, store driver and the submission queue. As soon as an Outlook users sends an email, the Microsoft Exchange Mail Submission service takes over. The Submission service then notifies a Hub Transport server in the local Active Directory site. The email is then sent to the for the categorizer’s submission queue. The store driver uses MAPI to connects to a user’s ‘Outbox’ folder, it then retrieves the message from the corresponding Mailbox server. Then the store driver converts the MAPI format into the Summary-Transport Neutral Encapsulation Format (S/TNEF). This format has no plain text part, and is in eight-bit binary format. Next, the store driver places the email into the submission queue and moves the message from the user’s ‘Outbox’ to their ‘Sent Items’ folder. In addition to local delivery, email can also enter the submission queue from an SMTP Receive connector, or even from the Pickup directory. The submission queue stores all messages safely on disk until the categorizer is ready to process them. It is the categorizer that is responsible for calculating the best routing path, for converting content format, and applying any organizational message policies. Incidentally, the categorizer on an Edge Transport server verifies the recipient’s SMTP address of an inbound message before it places it in the delivery queue. The incoming message is then routed to a Hub Transport server. In a new development in Exchange 2007, the categorizer makes copies of messages that have multiple recipients. The categorizer processes each message in the submission queue in turn. If a message is intended for a Mailbox server in the same Active Directory site, the categorizer places the message in a local delivery queue. The store driver then takes over and delivers the message to the Mailbox server role by using MAPI. The logical place to create an SMTP connector is on the server(s) with the Hub Transport role. The other place to configure these Exchange 2007 send and receive connectors would be on the Edge Server. 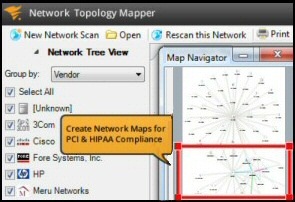 Check the Organizational Configuration node. Observe the Hub Transport node. Click on this second Hub Transport node. This is where you create or edit the Send and Receive Connectors. Once you create a Receive Connector you can tweak its Properties. Suppose you have a partner company, you can specify the source IP addresses from where you receive messages. Also, in the Limits tab you can adjust the maximum size of messages and configure permissions. And for troubleshooting messages, you could enable protocol logging on the General tab of Exchange 2007 SMTP connector. In Exchange 2003, all internet mail is directed through the SMTP virtual server. However in Exchange 2007 server, the SMTP virtual server no longer handles internet email, instead this task is performed by the new SMTP connector. Internet emails are typically routed by the Hub Transport via an Edge server subscription. Alternatively, you could create a Send connector on the Hub Transport server itself, and configure it to deliver outgoing internet email. Expand the Organizational Configuration node. Select the Hub Transport node. Click on the Send Connectors. In the Actions pane, select New Send Connector. The Wizard will guide you through the options. In particular look for the Internet option from the drop down box. Choose a Smart Host, or DNS MX records to send the email. Alternatively you can use the new-SendConnector cmdlet in the Exchange Management Shell. Note, as you create the new Send Connector, observe the PowerShell code on the last screen, just before the wizard completes. Exchange Server 2003 cannot detect the status of an Exchange Server 2007 connector, therefore it will continue routing, even if a connector is disabled. If you have two connectors, one from Exchange 2003 and another from 2007, then make sure that the message size limits are the same. If not, then the lower value will be the restriction that is in force. In addition, these settings are not supported in Exchange 2007: Message priority, Message type, and Per user delivery restriction. Open port 53 to all external IP addresses from the Edge Transport server. You need this port for the Edge server to resolve DNS names on the Internet. Again, port 25 is the default port for SMTP. Allow this port to and from the Edge Transport server to specified Hub Transport servers. Allow port 50636 for LDAPS (Secure Lightweight Directory Access Protocol) from specified Hub Transport servers to the Edge Transport server. This port is used specifically for the Edge Synchronization process. On the one hand, the advantage of a single route is security. 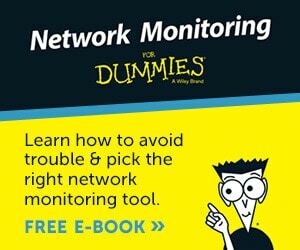 You need be concerned only with a single connection, from the internal network to the Internet. On the other hand, multiple routes provide redundancy and load balancing. You probably won’t need to create internal Send connectors, because they are created automatically when you add the Hub Transport role. Partner This type of connector is used to forward messages to partner domains. Partner connectors allow connections only to SMTP servers that authenticate using TLS certificates. 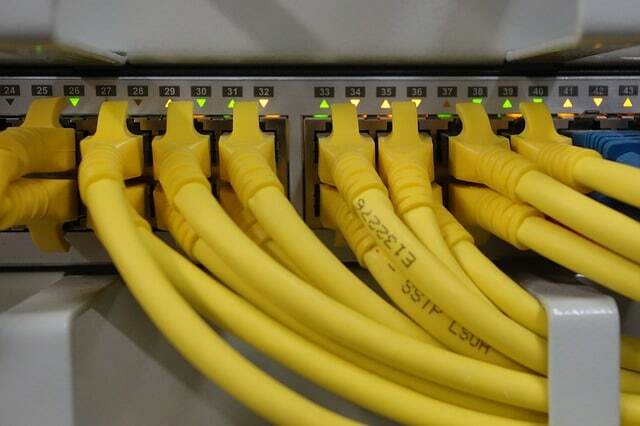 The time to establish extra Send connectors is when you want to create direct routes rather than using the internet. With this type of Send connector, you specify the address space and the smart host. Keep in mind that if you create another Send connector, that connector can be used by any Hub Transport server in your organization. This is because all configuration data is stored in Active Directory. In addition to the security v redundancy factors, which apply email in both directions, inbound message flow has extra challenges. Firstly remember that receive connectors just affect the local server, whereas send connectors affect the entire Exchange organization. 2) Remember to specify port 25, because Telnet normally uses TCP port 23. Type: Quit. This will exit Telnet. Type: MAIL FROM:guy@YourPlace.com and then press ENTER. 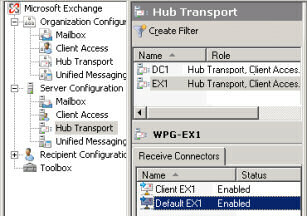 Begin by studying the Exchange 2007 server with the Hub Transport role. 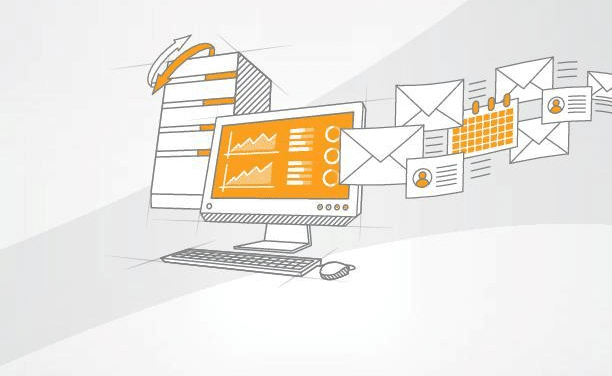 Make life easy by researching the SMTP connections that are created automatically, for example, little configuration is required to get internal email working. When it comes to internet access, you will need to create a new Send Connector to receive messages from external contacts. As far as receiving internet email, you need to a plan on how to route external message to the appropriate Mailbox server.